Problem areas in your house? energy efficiency to your existing home. After years of living in Indiana, you have determined this is the state you want to lay down roots, settle down in, invest in. But there are a few aspects of your house you would love to change. When the neighbors are loud, you can hear it. When the weather is cold, you can feel it. When the energy bill comes in, you dread it. The good news is one home improvement could solve most of your problems: foam insulation. Foam insulation is versatile. It can be used to re-insulate older homes that contain little or no insulation. Best of all, the process is simple, taking one or two days, with very little disruption to your household. 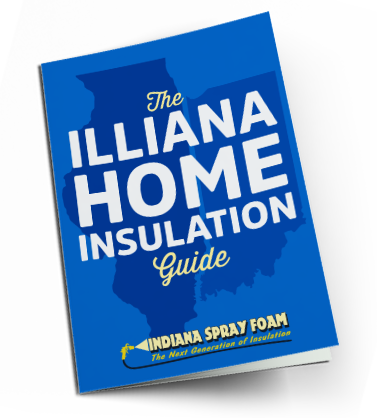 Choosing foam insulation is a very effective way to prevent large amounts of heat loss, filling voids and cracks in the walls, attic, crawl space, rim joist, and basement, even filling irregular shapes and gaps. Because foam insulation has sound deadening characteristics, you will enjoy a home that is quieter from outside noise. Because foam insulation creates a seal around your home, warm air won’t escape, and cold air won’t creep in. Because foam insulation ensures a more consistent temperature in your home, your energy bills will be much, much lower. Which means you can stop thinking so much about the house and settle in. Invest in your existing home by calling 888-936-3626 for a free estimate, or fill out the form on this page. Every project is different, so the cost for your neighbor will be different than the cost for you. Check out our budget calculator to get a rough estimate. From siding, and attics to crawl spaces every installation is different. Check out our process video to see how we install foam insulation in existing homes.